Cari-Lenn Miles is a native North Carolinian. 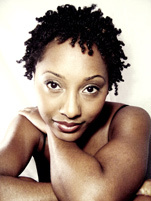 She attended The University of North Carolina School of the Arts in Contemporary Studies, and graduated from The Alvin Ailey School’s Certificate Program. During her career in New York, Ms. Miles had the opportunity to work with notable artists and choreographers such as Matthew Rushing, Earl Mosley, Hope Boykin and Fredrick Moore She also performed with a variety of dance and theater companies throughout the New York/New Jersey and D.C. area. Ms. Orr was a guest artist with the Broadway cast of The Lion King and held an apprenticeship with Urban Bush Women. She served on faculties of different outreach programs and art conservatories teaching dance to children and adults of all ages. Ms. Orr joined the faculty of The Raleigh School of Ballet in September 2012.